Magic in Altear is natural to some and to others it must be earned. No matter who uses it magic differs in execution and ability depending upon the race and the region it is used. In reality there is not one singular magic inherent in the lands of Altear, as there is a different art of magic for each people or peoples found in Altear. From the elemental shamanism of the Parzyk hordes to the fatebinding powers of the Aesir. Each race has its own connection to the World Tree that allows it to master the powers found within or around them. All magic by itself is a form of mastering fate. An ability once found on Ceantar (earth), but now lost forever. In Altear all magical ability is keyed into the World Tree, the grand axis of the world that connects divinity of time and to Altear itself. 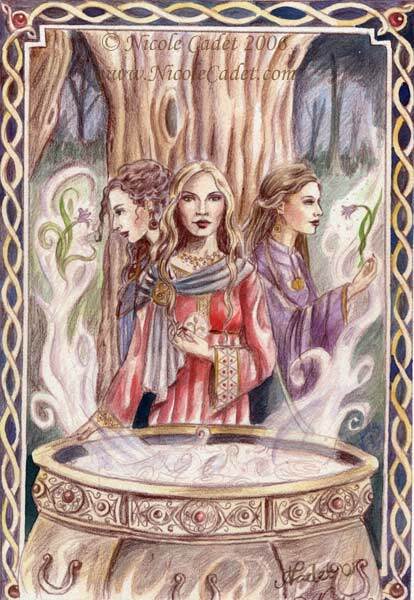 Those who are able to commune with the axis or are naturally connected to it can master the powers of magic. The Sidhe call it Crann Beatha. The World Tree represents the collective Fate of Altear and it is for this reason that many of the races of Altear keep the image of the tree as sacrosanct. Many years ago, there was an attempt by the Norgard Empire to combine the powerful sorcery of the Vila with the magical form shaping of the Dverg. This experiment known as the “Northern Folly” caused a massive explosion which killed most of those involved. What was discovered at that time was the existence of a dire prohibition against the combining of racial magics. 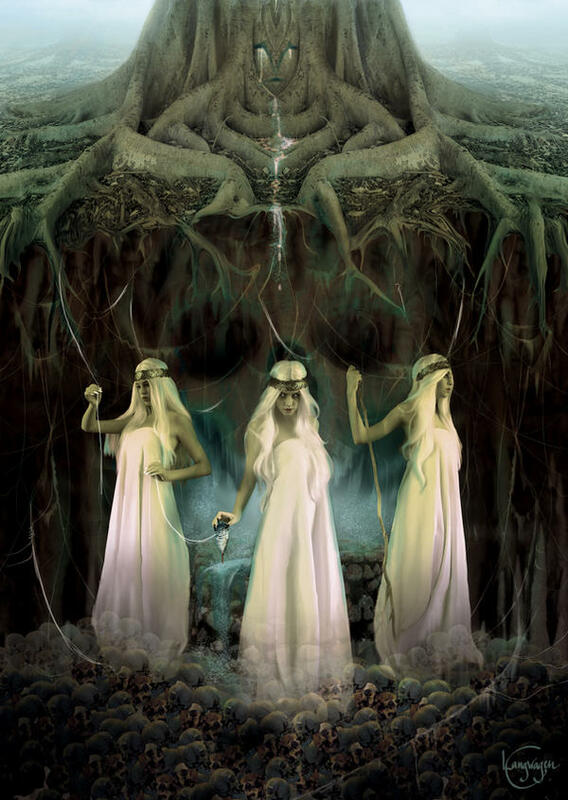 Seemingly laid down by the Norns (the keepers of fate) themselves, this law is simply known as the “Threefold”. The fate of the blood of gods shall never mix with that of another. A tribes fate cannot be undone by another. Fate may only be made by those of tribal blood. Racial magics cannot combine without dire rebouding affects upon the users. Racial magics cannot be used to change the magical determination of another (if someone changes to another race using changing magics, they can no longer use their former race’s magics). Magics of a given race may only be used by that race. It is their tie to the World Tree and there’s alone. There are few ways in the world of Altear to deal warding against the ills of magic. There are few ways in the lands of Altear to do so. The primary way is the usage of salt, pure salt taken from the land or from the sea. Dried and placed in a circle (it must be unbroken) salt can prevent the passage of magic in a given area. There are some magics which are closed to all races. These are strange magics cast on ancient items (such as the legendary hoard of Andravi). These are known as the Wild Magics, or strange items, or workings made in a time when the ancients or the immortals still walked the land. Some of these items can be powerful artifacts or can be simple wonders. In other cases they might be horrible curses that alter the very being of the victim, or simple hexes that cause ill luck. In other cases these can be blessings or boons earned from certain items, or areas. Bound Curse – A ill-magical effect applied to an area or item. Can included transformative, painful or harmful symptoms. Bound Hex – A minor ill effect applied in the same manner as a bound curse. Bound Blessing – A positive effect given by an area, or an item. Throughout Altear there are the rare and uncommon creations that are spread throughout the lands of Altear. Some of these items are terrible in their application and some bring great righteous justice to the land. The more powerful or rarer the item the more legendary it becomes. Unknown – These are items that usually lack much magical fortitude or application and thus have little story about them. These items generally have one effect upon them and a minor one at that (Unknown items are still not common place, they also have one minor effect). Rumored – A more uncommon magical item that has a minor effect or two that has started to earn it a name or to get people talking about it (Rumored items have two minor effects). Mythical – An item with a few effects not all of them minor, and is often quite rare. (Mythical items have 3 affects max, or one great effect). Artifact – Item crafted by the Tuatha De Danan or the Sidhe Race. Wyrd Weapon – A weapon that bends the Wyrd, creates natural ill effects for the more power it has and is created by the Aesir. Fate Bound – An item created by the Tinkers that has a magical effect bound to it by a Ramathi priestess or Shivani. Blood Weapon – An item which is forged in blood and imbued with magical effects by a Magi of the Ashurites.